This article first appeared in City & Country, The Edge Malaysia Weekly, on August 14, 2017 - August 20, 2017. Predictions of a slowdown in the property market prompted a change of plans at MKH Bhd three years ago. Instead of building the proposed high-end properties, it decided to switch to affordable homes like terraced houses. Under the new strategy, the developer offered, at low absolute prices, properties for which there was more demand and which sold faster than high-end properties. And it is all paying off now as most of MKH’s projects are sold out. Managing director Tan Sri Eddy Chen is pleased with the decisions the company made back then, and for this year, most of its launches are still priced in the affordable range. In a recent interview with City & Country, it seems “affordable” is Chen’s favourite word. “When we converted all our planned high-end properties, such as bungalows and semidees, to properties in the affordable pricing range, the gross development value (GDV) was almost the same. The only difference was the number of units we needed to sell,” he says. MKH is planning eight launches this year and early next year — all in the Klang Valley — with most of them offering affordable prices. Three projects worth RM770 million have already been launched while the other five with a total GDV of more than RM900 million will be unveiled over the next few months. The five comprise new township Kajang 2 Precinct 2 and high-rise projects MKH Boulevard II and Inspirasi Mont’Kiara, and the phases of residential development Hillpark Home 3 (Phase 4) and the commercial Hillpark @ Shah Alam North (Phase 5A). Kajang 2 Precinct 2 is scheduled for launch by 3Q2017 while MKH Boulevard II and Inspirasi Mont’Kiara will be launched by 1Q2018. 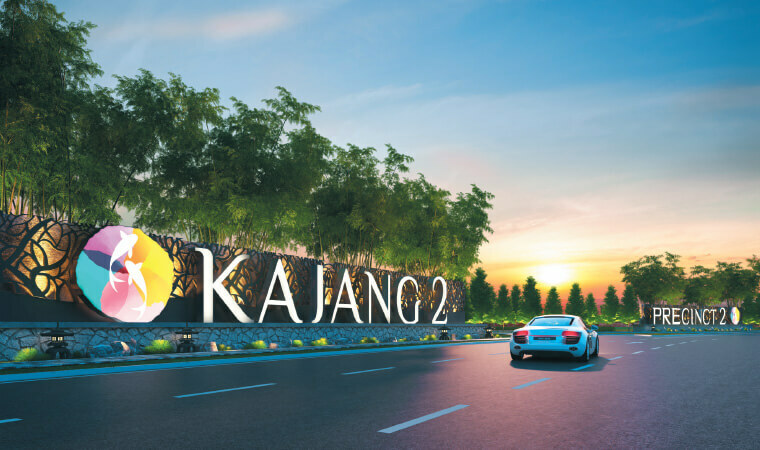 Chen notes that the 170-acre Kajang 2 Precinct 2, which has an estimated GDV of RM1.5 billion, features mostly landed properties and will be developed over six years. Phases 3 and 4, spanning 19.74 acres and having a GDV of RM138 million, will be offered first. The 184 two-storey terraced homes will have built-ups of 2,072 sq ft onwards and prices that start at RM777,000. The 2½-acre MKH Boulevard II is an integrated transit-oriented development (TOD) in Kajang that is within walking distance of MRT and KTM stations. With a GDV of RM262 million, it will feature apartments above two retail floors. The apartments, which will have built-ups of 960 to 1,120 sq ft, are priced at RM550,000 onwards, while the retail floors will host 42 shoplots. The homes in Kajang 2 Precinct 2 and MKH Boulevard II are for young families, Chen says, adding that the latter’s TOD concept will enable more people to use public transport. The new phases of Hillpark Home 3 and Hillpark @ Shah Alam North will be launched by 3Q2017. The RM52 million Phase 4 of self-contained township Hillpark Home 3 in Bandar Teknologi Kajang is a build-then-sell project. It offers 79 two-storey terraced homes that measure 1,407 to 1,746 sq ft. Scheduled for completion by this quarter, these units are going for RM552,420 to RM659,700. The RM45.5 million Phase 5A of Hillpark @ Shah Alam North features 80 one and 1½-storey shoplots with built-ups of 1,080 to 4,300 sq ft. The seven-acre phase is located along the township’s main road called Persiaran E1/1, and will provide better conveniences and business opportunities to the surrounding communities. The three projects MKH launched earlier this year are the final two landed components of Hillpark @ Shah Alam North — Pinang (Phase 4) and The Palm (Phase 1) — and TR Residence in Jalan Tun Razak. Pinang features 132 one-storey terraced houses with a built-up of 1,099 sq ft. At RM420,000 onwards, the units are fully taken up. The Palm will be launched in three sub-phases with similar offerings. Phase 1A1 offers 258 two-storey terraced homes with a built-up of 1,474 sq ft. Priced at RM529,000 to RM575,000, the units are 70% sold. Phase 1A2 was unveiled last month while Phase 1B will be launched next month. A joint venture between MKH and Panasonic Homes & Living, The Palm will feature Japanese technologies, such as the wall-precast concrete construction method for consistent and efficient delivery, the “Kajiraku” design for practical inner layouts as well as the installation of the Panasonic PureTech Air Ventilation System. Maple, the seventh phase of Hillpark @ Shah Alam North that was launched last year, is also a JV project with Panasonic. The leasehold Hillpark @ Shah Alam North covers 558 acres and is by far the developer’s largest township development with a GDV of RM1.6 billion. Featuring a 50-acre town park that includes three recreational areas, the township is near various amenities, such as Tesco Puncak Alam and Econsave Alam Jaya. Seven of its phases are landed residential while three are commercial. One of the latter — Hillpark Avenue — was launched in 2015. Mixed-use development TR Residence was unveiled in June. 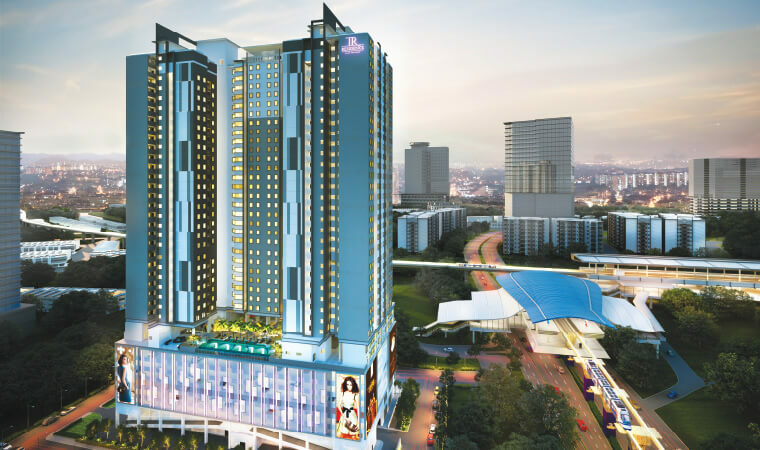 With a GDV of RM400 million, it is also a TOD that is located just a stone’s throw from the Titiwangsa LRT, monorail and upcoming MRT interchange stations. “This is one of the few true TODs and we are making full use of it by designing the right size and price to fit the affordable pricing range, so that more people, especially from the middle-income group, will benefit from it,” Chen says. Occupying 1½ acres of leasehold land, this project offers 642 apartments in a 36-storey block. 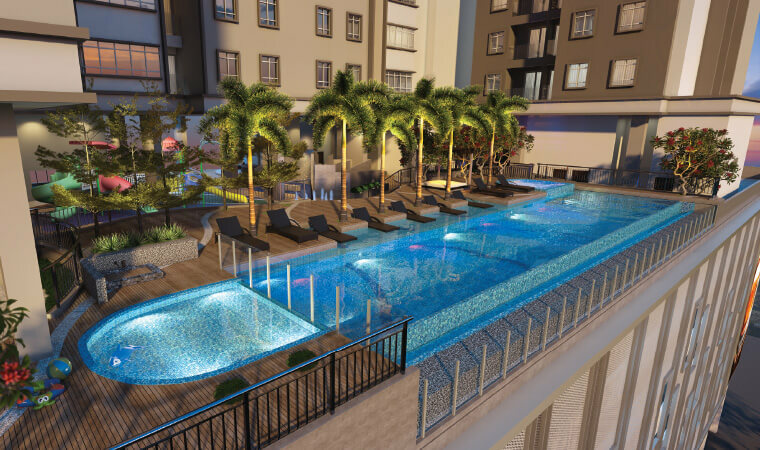 The units measure 850 to 1,690 sq ft and are going for RM544,000 onwards. There are also four penthouses with a built-up of 1,690 sq ft. At the ground floor of the tower, there will be 12 retail units (built-up: 1,238 to 3,304 sq ft), which will be opened for sale at a later date. TR Residence is located just 4½km away from the Kuala Lumpur city centre and is close to the General Hospital, National Heart Institute, National Library and Istana Budaya. It is also within 100m of the Titiwangsa LRT and monorail stations, and is adjacent to the Rapid KL Bus Station. Its facilities include a sky gymnasium, sky jogging track, landscaped garden, swimming pool, wading pool, wall climbing area, barbecue area, children’s playground and multipurpose hall. According to Chen, MKH has a total land bank of about 500 acres that will be developed over 8 to 10 years. All the land is in the Klang Valley and will be for affordable housing projects, he says, adding that the developer is also open to joint-venture opportunities. Chen expects the property market to continue to be flat, although he sees upside possibilities by the end of the year and early next year. “When you look at the data from Bank Negara Malaysia, household debt is going down, which means discretionary income will go up. This is the time people will start looking at big-ticket items and spend less on other items like cars.